Jordan delivers an exceptional lesson experience and ranks in the top 15% of our teachers nationwide. Finding her first love for the theater at the young age of five, Jordan also has a big passion for children’s theater. In 2015 she toured the country with The Panto Company USA, bringing children’s stories to life in regional houses across the U.S. With them Jordan sang the role of Rachel Walker in Rainbow Magic, Live! and Daisy Blossom in Rumplestiltskin. She was also seen marching down 6th avenue in the 89th annual Macy’s Thanksgiving Day Parade. Jordan covered and performed the lead role of Christine in the Phantom of the Opera North American Broadway Tour, and traveled the continent performing in theaters nationwide with this fantastic production. Jordan toured the U.S. performing several lead roles in multiple shows with the UK based Panto Company bringing children's theater across America. 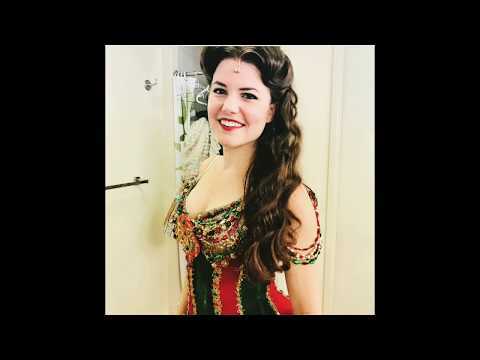 Baby Doe from "The Ballad of Baby Doe"
Polly Peachum from "The Threepenny Opera"
Live recording of "Think of Me" from The Phantom of the Opera. I do not own this video, found on YouTube. Jordan's Debut Original Single "Gone"